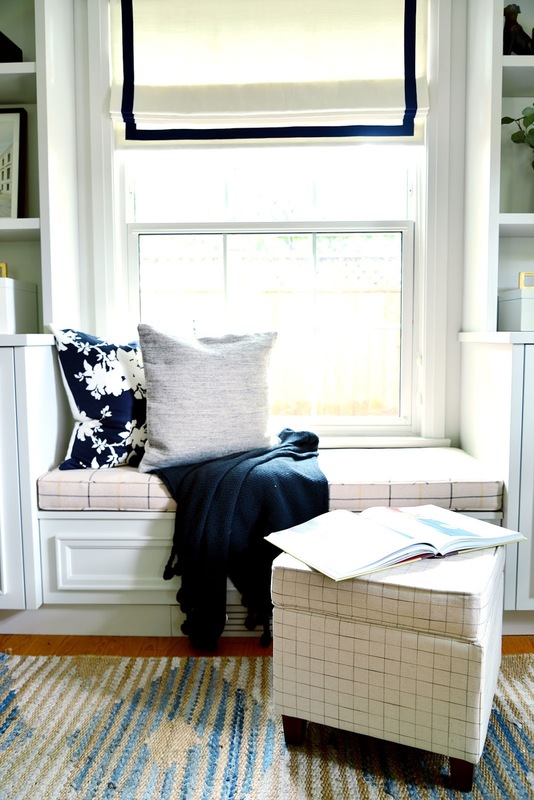 It's the Square Lift Off Ottoman in Natural Windowpane from HomePop and I'm excited to tell you that I'll be working with this awesome brand over the next few months. You might remember HomePop from my One Room Challenge master bedroom makeover. They were one of the official ORC sponsors and provided the handsome pinstripe charcoal bench and striped dining chair (used as a vanity chair) I used in my room design. Their pieces are on trend, well constructed, and well priced and I can't wait to show you how I use them in my own home. 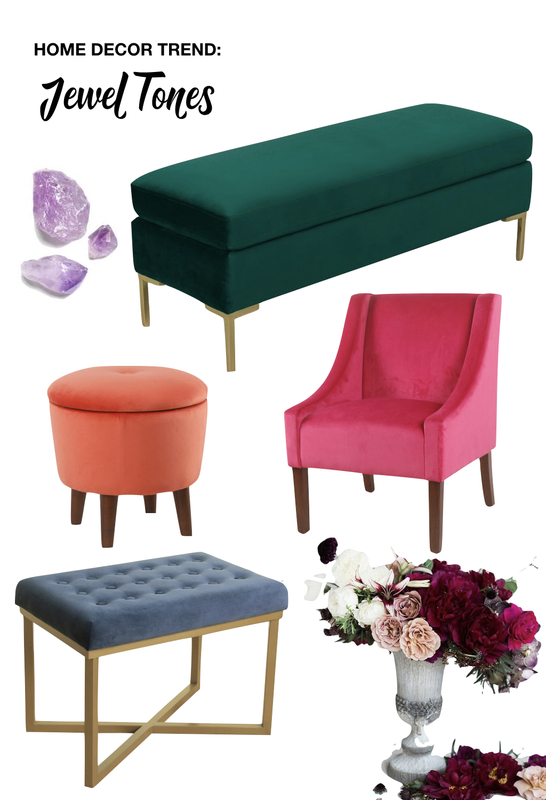 The HomePop tag line is "Affordable fashion accent furniture for the home" and that's exactly what they do! As we start to ready our homes for the holiday season (can it really be only two weeks until Canadian Thanksgiving?? 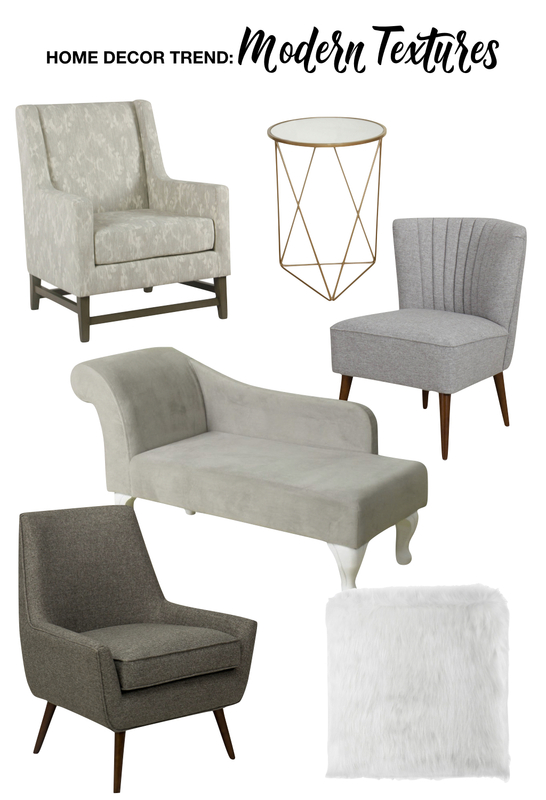 ), I thought I'd share some HomePop pieces that capture the latest fall decor trends for the home. Maybe it's the cooler temperatures, but as soon as fall arrives, I dream of cozy socks, warm sweaters, and layering up with my favourite fuzzy blankets. By adding nubby fabrics and textures like velvet, and faux fur you can bring instant warmth to your home. These materials can tone down a room and make it feel lived in and relaxed. I find textured fabrics work best on simple shapes and clean lined furniture like the HomePop Dean Modern Accent Chair in Dark Grey. The welted seams and sleek back and arms of this chair showcase the fabric and combine for a look that is sleek and comfortable. I don't tend to decorate using a lot of bold colours, but when you want to make a statement, nothing beats a vibrant eye-catching jewel tone. A single accent piece in a crimson red or royal blue can bring a neutral decorating scheme to life. I'm crazy over the HomePop Bedford Large Velvet Decorative Bench with Pillow Top in Emerald Green (shop for it here on Wayfair). The pillow top and brushed gold metal legs ooze style and the emerald green colour is a classic that could work in almost any space. 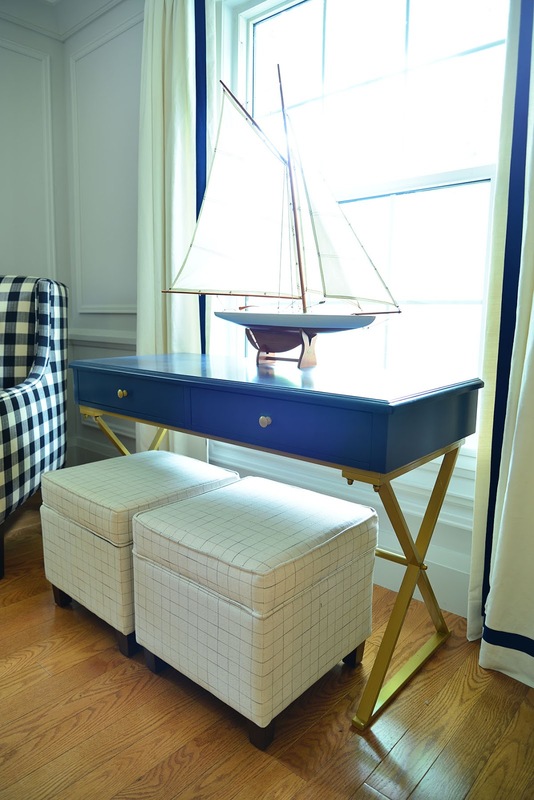 Pair it with heathered plaids and black accents for a posh, country club feel. My favourite fall trend has to be Menswear Inspired details. From updated plaids and pinstripes to sleek tailoring and faux leather accents, the menswear look is making its way to home decor. Country inspired buffalo check patterns continue to be popular but refined patterns like houndstooth and windowpane are picking up momentum. The faux leather HomePop Draper Large Decorative Bench with Button Tufting (shop for it here on Overstock.ca) is a look that I think is equally appealing to men and women. 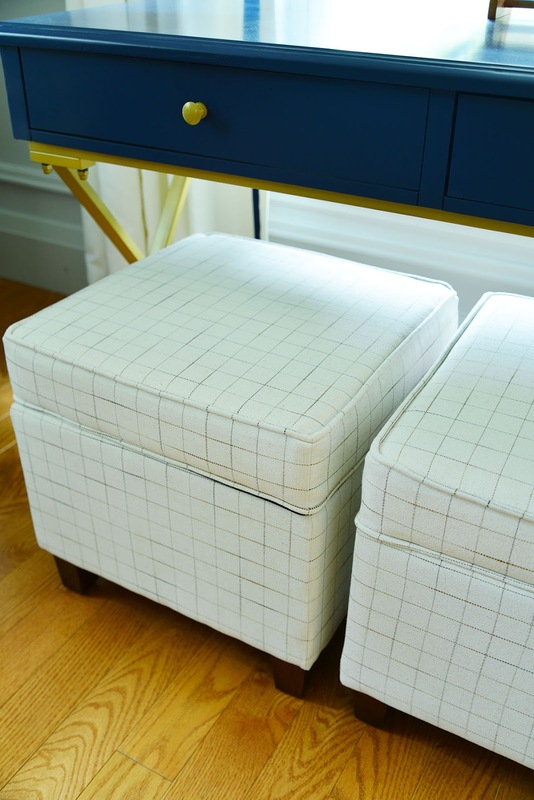 I had been searching for an ottoman for a long time and when I spotted the Square Lift Off Ottoman, I knew it would be perfect for our renovated living room, Small and easy to move around, the ottoman acts as extra seating, a footstool, or even as a side table. I love the versatility and the neutral windowpane pattern mixes easily with the other patterns and fabrics in the room. I'm truly impressed by the wide breadth of product HomePop offers. You can shop HomePop via their retail partners such as Overstock, Target, and Wayfair US and Overstock.ca. A quick tip: HomePop products might have different names on their partner sites. You can often find a specific product by googling the HomePop product description (e.g. square lift off ottoman windowpane) and the sites that carry that product show up in the results. Do you have a favourite trend? 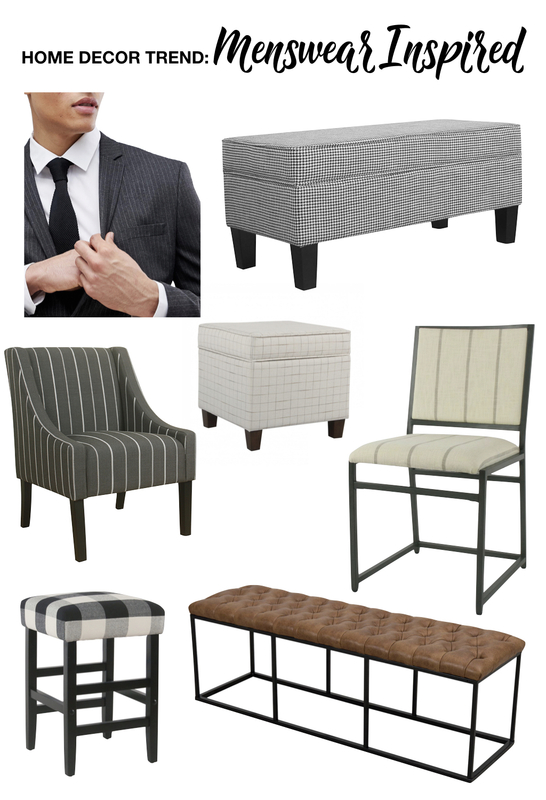 Expect to see a lot more pinstripes and menswear patterns in my home! Disclosure: This conversation was sponsored by HomePop. All opinions are my own.